Hosting dinner parties is part of the joy of living in an area where outdoor entertaining can happen any time of the year. For those of us lucky enough to live in Southern California in areas like San Diego County, Orange County or Riverside County, dinner parties of the outdoor sort can happen just as easily in December as they can in July. 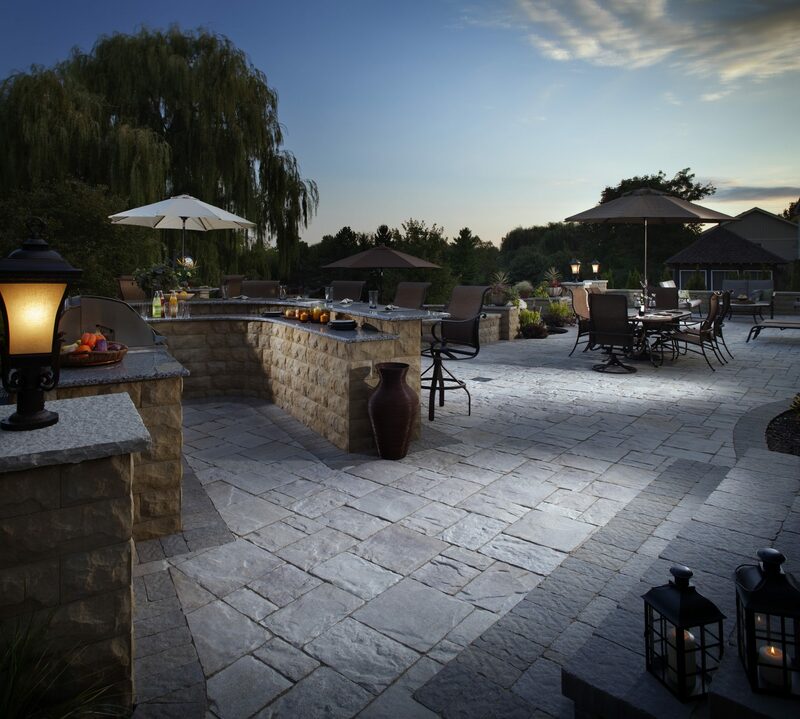 Since there are rarely weather issues holding us back from inviting over a few friends for a patio party, the only thing keeping some homeowners from having regular weekend gatherings is just how expensive it can be to throw a memorable soiree. Sure, having a backyard party every few months is affordable for most folks, but if you dream of hosting regular gatherings to bring together your family or friends more frequently, the costs of doing so may seem a bit prohibitive. 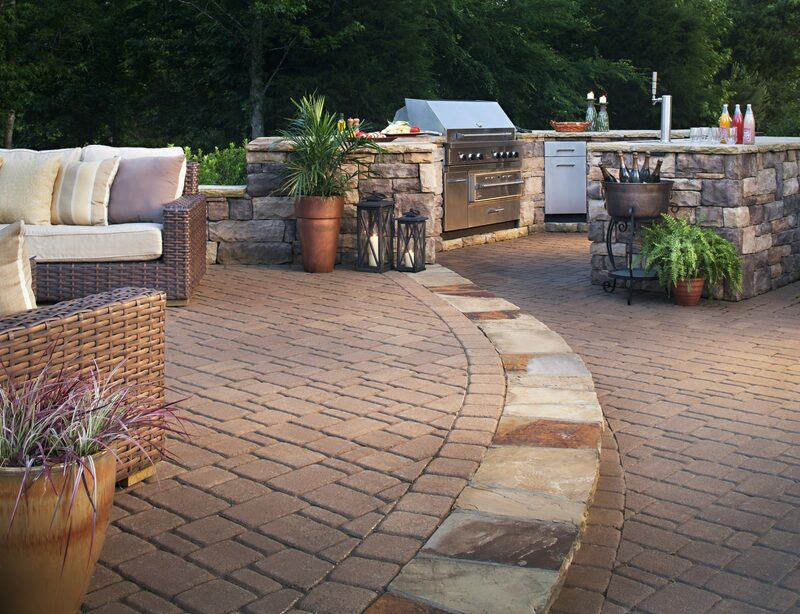 Or, if you are saving up to remodel your backyard with value-added features like artificial grass or a paving stone patio, you might be thinking dinner parties are outside of your budget until you have saved up enough for this home improvement project. 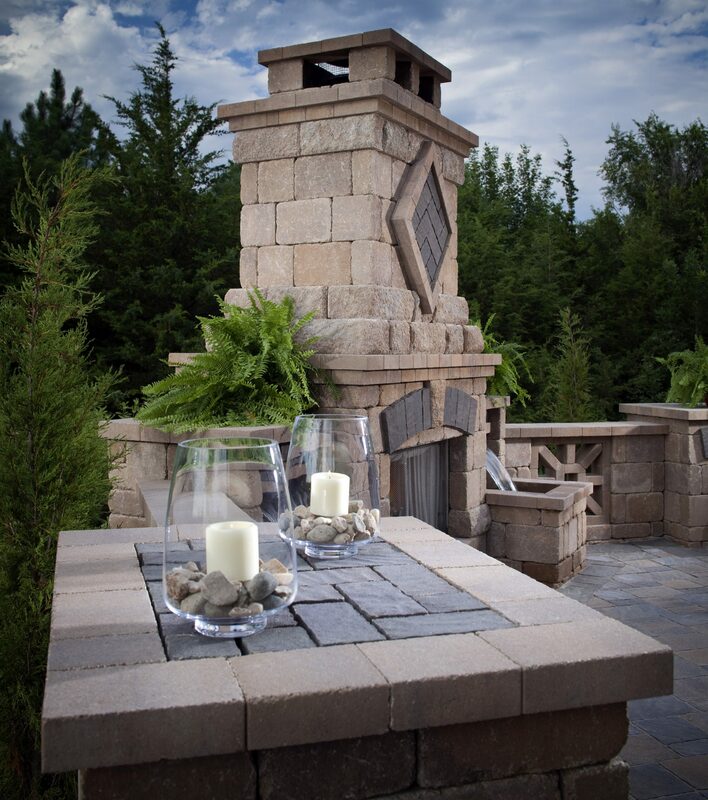 On the other hand, if you just sent off the last payment to your landscape contractor after a complete redesign and now would love to show off your new backyard but are feeling a bit strapped, a few budget dinner party ideas might be useful. Read on to learn how you can save money when hosting anything from a simple family barbecue to an elegant, al fresco dinner party. Whether you are entertaining a few, select friends or your large, extended family, you are going to need plates, napkins, glasses and silverware of some sort. For smaller parties, you may be able to use your everyday dishes and flatware, which would allow you to skip tableware expenses all together. However, if your everyday dinnerware has seen better days or you would rather not take the chance of a guest accidentally breaking one of your favorite plates, it is probably best to come up with a different plan. Tableware can be one of the most expensive parts of hosting parties, but you can save hundreds of dollars and end up with an impressive presentation if you forgo expensive department stores when shopping for supplies. Instead of dropping a couple hundred dollars on the perfect serving platter at your favorite home goods store in the mall, look for interesting – and much less expensive – options at outlet stores and discount retailers, such as TJ Maxx, Ross Dress for Less or Marshalls. To save even more, you can become a vintage shopping aficionado and make it your mission to seek out the best thrift stores and vintage shops in your area selling dinnerware, table linens and other dinner party supplies. If you are not in the market for reusable goods and prefer the convenience of paper plates and napkins that can be thrown away instead of washed, don’t forget that your local dollar store is sure to have a wide selection of colors available and quality that is similar to what you would find at more expensive grocers or party stores. Some dollar stores also sell silver-colored, plastic flatware that is perfect for making your party look a bit more upscale while still saving you the trouble of washing silverware afterwards. Of course, if you plan on hosting very many outdoor parties, it is well worth it to invest in inexpensive cloth napkins and tablecloths that can be used over and over again. This is particularly true since you can often find table linens at thrift stores, garage sales or discount retailers. If you have a sewing machine and some very basic sewing skills, you can also sew cloth napkins and tablecloths to save even more money. If you do decide to purchase cloth table linens, be sure to stock up on a few sets when you find good deals so that you can switch them out according to the party theme or just so your regular guests won’t start thinking that you use the same tableware for every party. As for dishes, you can find more affordable sets at discount retailers or at clearance sales. If you have the time to be selective, you can also often find some decent plates at dollar stores and thrift stores. In fact, buying mismatched china for use at parties is a growing trend that can save you money and help ensure that you do not cringe every time a guest drops a plate on your patio. If you are planning a one-time affair, renting your dinnerware and table linens may be a bit more cost effective, but if you think you will ever use them again, it is better to buy. In fact, you can often find purchase prices that rival one-time rental fees, which means renting is often a more expensive option. The best way to save money on party decorations is to keep things simple and use what you have. 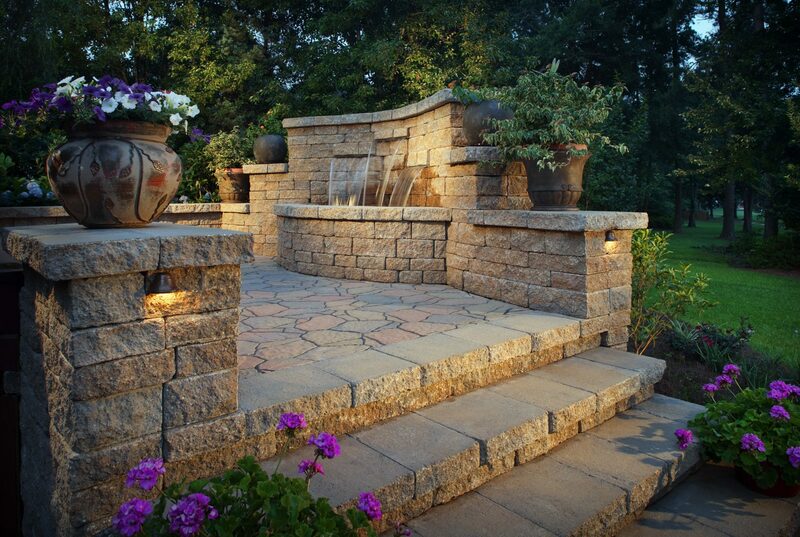 If you have a beautiful paving stone patio, lush artificial turf or an amazing water feature, then let these things provide you with attractive focal points that do not need to be covered up with a bunch of store-bought decorations. You can make your landscaping work for you even more if you cut flowers from your garden for your centerpieces, which saves money and makes your party décor tie in better with the overall look of your yard. You can also make your own centerpieces with simple, free or low-cost items, such as pine cones, lemons or driftwood. Candles should be a part of the décor for any outdoor gathering, but when it comes to saving money hosting casual cookouts or formal dinner parties, using candles as inexpensive centerpieces is a great way to provide additional lighting for your party and to set the appropriate mood. Keep in mind that if you have mismatched vases or candlesticks, you can easily tie together mismatched items to create a cohesive look by adding a common element, such as a certain color of ribbon wrapped around each piece. Food is an essential part of any outdoor party, whether you are gathering friends for a casual barbecue or planning an elegant patio dinner party. Even if you are trying to save money and do this on a budget, the last thing you want your guests to think is that you skimped too much when you were planning the menu. The way to avoid this is to serve fantastic fare that your guests will never guess was prepared on a budget. First off, if you are serving multiple courses, keep in mind that it is okay to serve your guests smaller portions. That is a quick way to immediately cut your costs without taking away from the quality of the food. Another way to get away with serving smaller portions of more expensive dishes is to fill your guests up on inexpensive snacks and appetizers before dinner. When planning your menu, focus on foods that you know you can buy in bulk or find at discounted prices. For example, pastas, rice, beans and baking supplies can all be purchased in the bulk section for much less money than packaged options. When you buy bulk dry beans for your party, instead of using canned beans or fresh bean dishes from the deli section, you can save quite a bit that you can then put towards an amazing dessert or simply save. Brown rice is great bulk food that is cheap and easy to make as well, but it can be a bit boring. You can dress it up inexpensively by buying a small amount of wild rice in the bulk section and mixing them together for a more festive rice dish. If you choose to include inexpensive rice to your party menu, remember that you can serve smaller portions of expensive meats over large portions of rice to fill up your guests without breaking the bank. The next step in saving money on food is to consider less expensive protein options. For example, if you do chicken kabobs instead of chicken breasts or beef kabobs instead of steaks, you can purchase cheaper cuts of meat and significantly save on your food budget. If you are including dishes with ground beef, you can add kidney beans to stretch the dish and save even more money. Another easy way to save money and serve something a bit fancier than burgers and hotdogs is to go Italian with your menu and serve up inexpensive but delicious pasta dishes that your guests are sure to enjoy. Pasta can be purchased at dollar stores or, sometimes, for less than a dollar at grocery stores when on a good sale. Stock up when the price is good, and you will have plenty of pasta on hand for multiple parties. If you plan on hosting very many get-togethers, you should also consider stocking up on items that you use regularly and that have long shelf lives whenever they go on sale or you see them at the dollar store, such as mustard, ketchup and spices. Lastly, frozen vegetables are often more affordable than fresh, and you can stock up on them when they are on sale, and then keep them on hand for your next party. Even if you do a great job on saving money on tableware, food and decorations, it is easy to blow your budget when it comes to drinks. Sodas, bottled water, beer and wine all add up rather quickly, even if you try to save a bit by buying generic brands – which most people do not want to do for a party. A better way to save on party drinks is to choose two or three drinks to serve, and serve them in bulk. Water certainly has to be one of the options, but it does not need to come in individual bottles. In fact, it will immediately look more elegant when served in a pitcher with sliced cucumber, oranges or lemons, and no one needs to know that you filled the pitcher with tap water rather than bottled water. Iced tea is another easy, inexpensive drink to serve in pitchers or a drink dispenser, and tea is easy to dress up with sliced fruit or a simple sweet tea recipe you can find online. If you want to serve alcohol at your party, skip the expensive full bar with mixers, and pick one or two signature beverages that go with the theme of your event. Make sure you pick something that you can make beforehand and serve in pitchers or a drink dispenser, which will allow you to use cheaper alcohol and avoid the need for someone making drinks all night. One great option is sangria, which is a festive, punch-like drink that can be made with inexpensive wine, orange juice and sliced fruit. If you are hosting a multi-course dinner party, do not forget about the coffee. Coffee is inexpensive, and your guests will expect it with the dessert course. 1. Keep it small, which will make it more intimate and less expensive. 2. Keep an eye out for coupons, and match those coupons to great sale prices to stock up on items you use regularly. 3. Send handmade invitations or email invitations, rather than costly printed invitations. 4. Remember that elegant really means well thought out yet simple. Hold on to this as you plan your party to help you save money by making smart choices and keeping it simple. 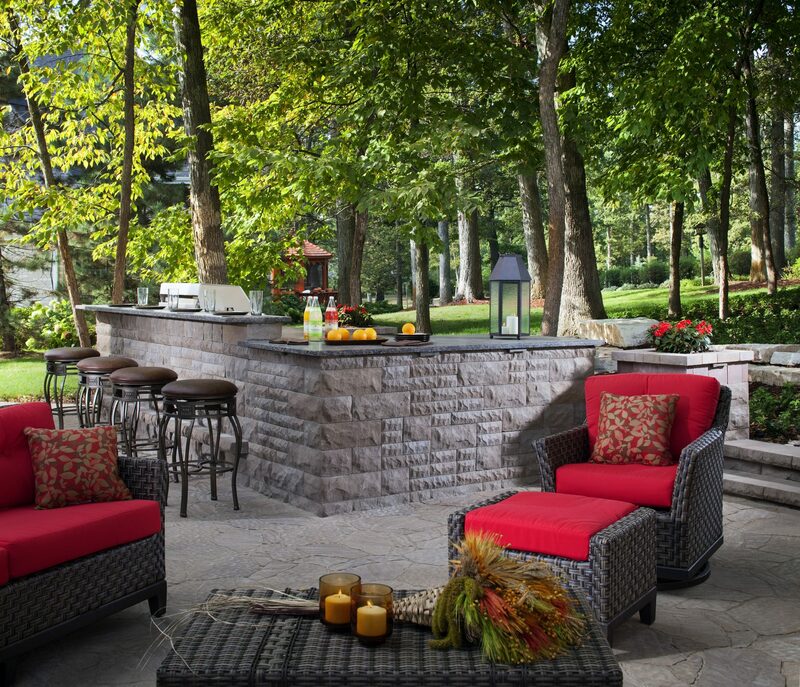 Do you host backyard parties on a regular basis? If so, how do you keep expenses to a minimum?